At Taylor & Sons Import Auto Repair, we pride ourselves in our commitment to customer satisfaction. We're a family run business in Omemee, ON, and have developed long lasting relationships with our customers and neighbours in the Peterborough and Kawartha Lakes regions. Our mission is to offer outstanding car repair and maintenance services at fair, affordable prices. As happy as we are to work on our vehicle, we're working to watch you drive out of our shop with a smile on your face. Our long list of services includes: brake repairs, tire rotation, fluid changes, steering and suspension replacements, vehicle inspections, and more. Visit our Services page to learn more. We specialize in repairs for European & Asian makes, including Honda, Toyota, Hyundai and Kia. 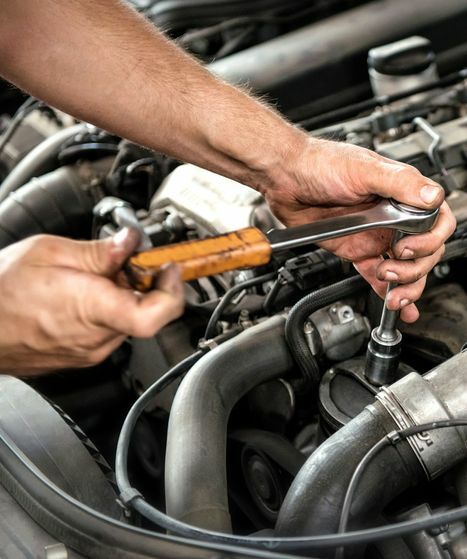 You can depend on us for thorough diagnostic tests that will pinpoint the source of your car's issues. Our top quality repair services are backed by state of the art equipment, specially tuned for the latest car models. Our goal is to exceed every one of your expectations through our values of honesty, reliability and professionalism.